This entry was posted in Uncategorized and tagged 1934-1935 Constitutional Convention, 1935 Constitution, American colonization, Bicolano, Buwan ng Pambansang Wika, Buwan ng Wika, Cebuano, Commonwealth of the Philippines, English language, Father of National Language, Hiligaynon, Ilocano, Manuel L. Quezón, Manuel Luis Molina Quezón, Manuel Luis Quezón, MLQ, Pampango, Spanish colonization, Spanish language, Tagalog, Waray. Bookmark the permalink. economic interaction is inevitable also and interacting them needs to use a language where two person persons from different parts of the world are comfortable. History shows that having Tagalog as the basis of our national language further divided not united our country as Tagalogs gained unfair advantage over non-Tagalogs. We should take the examples of Mexico and Peru where they made Spanish as their respective common language that unites the Nahuatl and Mayan descendants for the case of Mexico and the Quechua and Aymara for the case of Peru. Kun “langyawanon” nga pinulongan it Ininggles o Kinatsila,¿huna mo kami nga mga diri-Tag-alog diri nagtatagad hit Tinag-alog nga “langyawanon nga pinulongan” gihapon? It’s not about colonial mentality; it’s about compromise and consensus. Imagine if Malay became our lingua franca, will we have a problem like this today? It’s a Cultural Suicide to make a common Language. It will DO MORE HARM than doing good for a country. This is not completely correct. Spanish did become a ‘common language” among Filipinos. Why? While it is true that it didn’t become the first language of a majority of Filipinos, it was the second language of a huge majority (and this fact is not taught to us). Also, it is quite ironic that during the first decades of the US Occupation, Spanish flourished all the more compared to the three centuries of Spanish rule. Lastly, please refrain from using “American”. All the people of North and South America —from Canada all the way to Argentina— are Americans. And all the peoples of both continents know this for a fact. They refer to themselves as Americans. It is only the citizens of USA which have unjustly appropriated the demonym “American” for themselves. The reason, aside from neocolonialist policies and globalization, is that they have no true identity themselves. Benjamin, love of country is love of the land and the people who has a stake in it, those who will fight for it, regardless of race or language. Spanish and English is a Filipino language too for cultural reasons, that is it is the language of the revolution and what shaped our nation. What you are referring to by loving only the aborigines of the land, regardless if they are fruitful or harmful to the nation is not nationalism but RACISM. You are loyal not to the land or the country but to only to your RACE! Ang tanong dito eto, ang wikang Filipino ba ay halo-halo ng mga ibat-ibang wika mula sa mga kapuloan o kahawig lang ng Tagalog? Malinaw na ang sagot na kahawig lang ng Tagalog kaya kaming mga hindi Tagalog ay hindi masyadong gumagamit ng wikang iyan. Ngunit sa kasalukuyan ang linggwahe ng call-center agents, mayayamang tao at sa global na sirkulasyon ng pera ay coñyo, este Ingles pala. Ayon na rin sa mga eksperto, mananatiling English ang lingwahe ng Kapitalismo – kahit sa pagsibol ng Mandarin at paglubog ng hegemonya ni Big Brother. hindi na maikakaila ang pangangailangan sa Ingles. 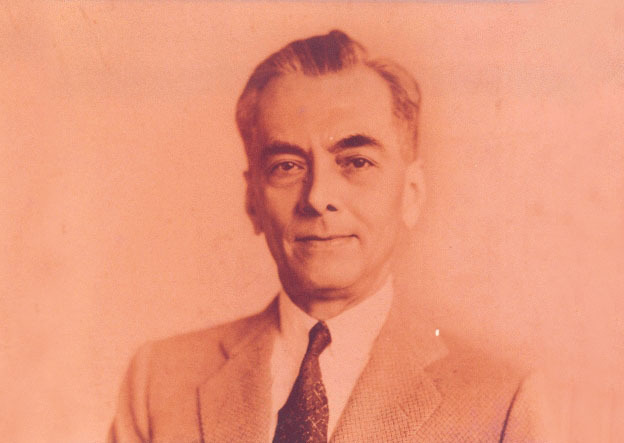 Manuel Luis Quezon y Molina idolized the Katipunan, so he chose Tagalog as the basis of the so-called “national” language. Imagine if Sr. Quezon was forced to compromise in favor of Malay as the lingua franca of the Philippines? Maybe we don’t have so many problems like today. Guys, look at Indonesia; they adapted Malay as their national language (as Bahasa Indonesia) though most of the main personalities of their independence movement are Javanese. Why? Malay is used in Indonesia since ancient times. Remember the Laguna Copperplate Inscription? Sorry for replying to an old comment, I just wanted to add in my two-cents. While Malay is not associated with a dominant ethnic group and therefore suitable to be use as a national language in Indonesia, it makes much more sense for the Philippines to have Spanish as a national language(again). Majority of the history and the Golden Age of Literature of the Philippines has all been written in Spanish. It’s quite a shame really. Most Filipinos would have to have to relay on translations. The meaning of the texts could have been lost in translation, or could have possibly been distorted by the translator themselves; depending on their political leanings or their general view of Filipino history. This would just give more power to the people in charge, since they can change history much more easily, if it suited their interests. Not only that, Spanish is more widely spoken throughout the world and is one of the official languages of the United Nations. While Malay, from what I heard, is closely related to the indigenous languages, it would be very much a foreign language. Spanish on the other hand, is a Filipino language, and has been spoken by many of the most important figures in Filipino history, including none other than the national hero himself, Dr. José Rizal.